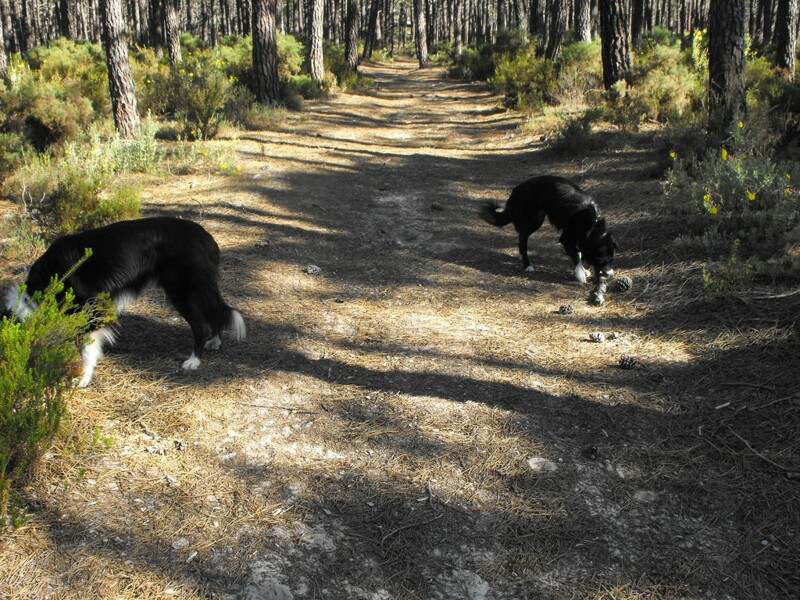 This weeks walk will take place in the woods between Nazare and Valado dos Frades. From Sao Martinho do Porto take the N242 to Nazare, driving through Famalicao and Quinta Nova. 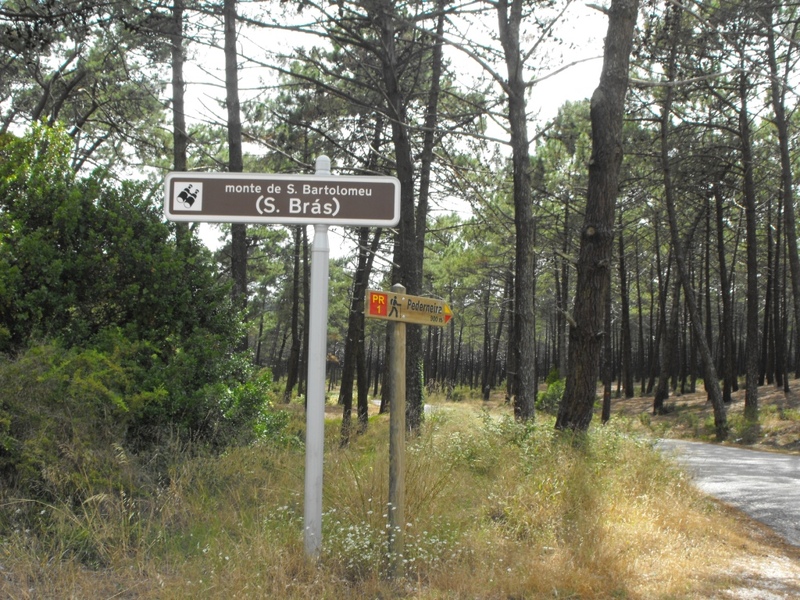 As you come over the bridge approaching Nazare you will come to a roundabout, go straight over, sign posted to the A8 (ignore the sign post to Valado dos Frades on this first roundabout). 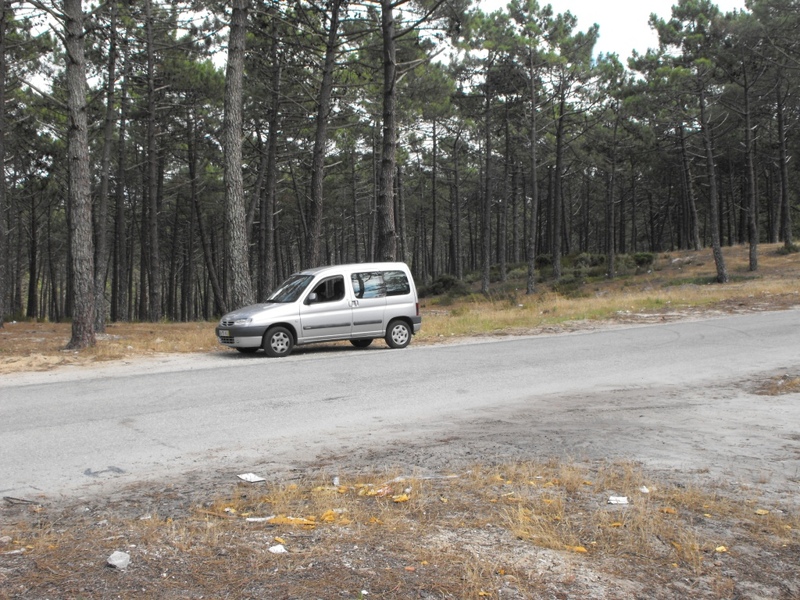 At the next roundabout take the first exit to Valado dos Frades. 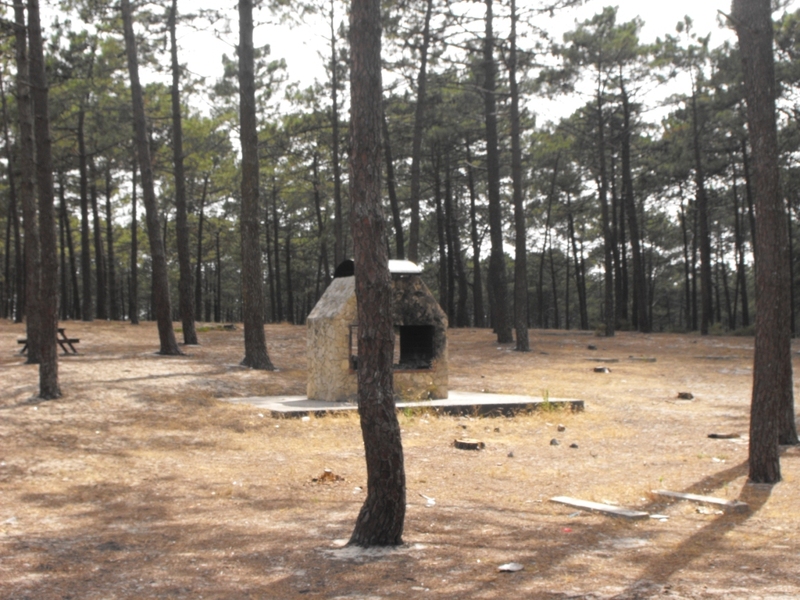 You will see a camp site on your left as you approach the next roundabout where you will go straight over again, then in about 300-400 yards turn right you will see a picnic area on your right. This is a view of the turning into the woods from the picnic area. 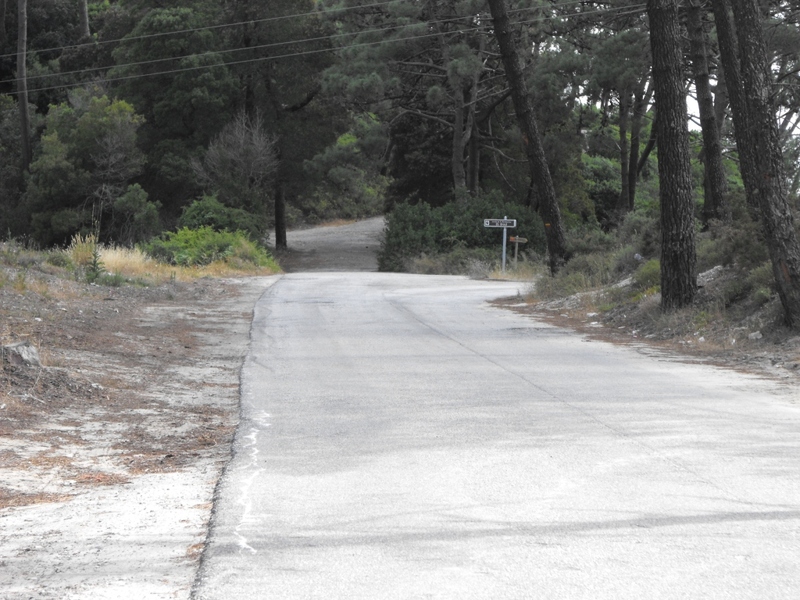 before you get to a Y junction in the road with sign posts to monte de S. Bartolomeu (S. Bras) and Pederneira.